Many of us remember the Terri Schiavo case. It has been ten years since she was tragically starved and dehydrated to death. In this edition of Unite the USA, we want to honor Terri's memory and bring awareness to the continued fight for life. You will find an article by her brother, Bobby Schindler, and a television special about Terri hosted by Joni Eareckson Tada. 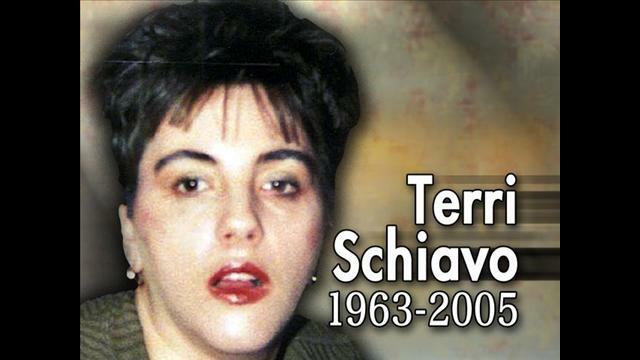 Most of the time when we hear about Terri Schiavo, we think about the terrible way she died. But who was Terri as a person? Terri was a kind, sweet, quiet, loving young woman. She loved her family, pets, music, art, and most of all, her Lord and Savior. Terri cared about others and she was a person who lived her faith. Learn more about Terri at www.terrisfight.org. 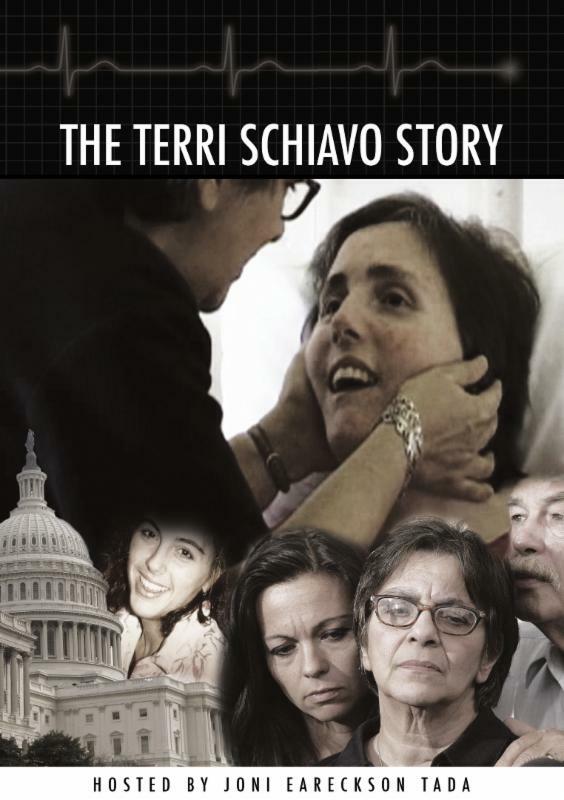 In this two-part episode, we present the story of Terri Schiavo. Her family's long and highly emotional struggle to save their daughter's life eventually came under the harsh glare of a worldwide media spotlight, the US Congress and the office of the President of the United States. The final outcome left us with difficult questions about critical ethical issues. Here, Joni Eareckson Tada and leaders of the Joni and Friends Christian Institute on Disability respond with a Biblical perspective on these life and death questions that affect us all. **You have the right to give instructions about your own health care. You also have the right to name someone else to make health care decisions for you. Read more about the Advance Heath Care Directive. In 1968, a committee of 13 men at Harvard Medical School endorsed brain death as legal death; in 1981 it was approved by the American Medical Association. This has a profound effect on decisions regarding life and death and has placed physicians as the sole decision makers of who is alive and who is dead based on the extent of a person's brain injury. In 1973, abortion was legalized on demand - through all nine months of pregnancy - and has been responsible for hundreds of millions of deaths, not only here in the United States, but around the world. Just in America alone, more deaths have occurred by abortion than in all of our wars combined. Staggering, and unthinkable, no doubt. Unbeknownst to most of the general public was a major change that has occurred regarding the administration of food and water via feeding tubes, which was once considered basic and ordinary care. As a result of this change, feeding tubes were redefined as "artificial nutrition and hydration" - and therefore a form of "medical treatment". Consequently, the removal of food and water occurs every single day across countless health care facilities throughout the world leaving the elderly, the disabled and countless other medically vulnerable left to die in the most horrific and inhuman way, by dehydration and starvation, which can take up to 2 or more weeks. Individuals are being denied this very basic right, despite the insertion of a feeding tube being a safe and routine procedure which simply helps a person who may have difficulty swallowing and consuming food. In 1994, Oregon legalized physician assisted suicide. Since that time, there have been three additional states that allow doctor assisted suicide. Indeed, with the media frenzy over Brittany Maynard's decision to kill herself, the death advocates will be licking their chops at the chance to use her tragic situation as a way to promote their agenda and introduce new legislation to permit physician assisted suicide. In fact, NJ is already in the process of trying to legalize assisted suicide, and there are plans to introduce bills in Pennsylvania, New York and California. In Europe, things are much worse. Physician assisted suicide and euthanasia are legal in the Netherlands, Belgium and Luxembourg. Let's not forget our friends to the north. In Canada, legislation has been recently introduced that would legalize active lethal-injection euthanasia and assisted suicide for people with disabilities. And there is a Canadian ethicist who made headlines stating that it is justifiable to kill terminally ill newborns who are "suffering". Same goes for Belgium, where children with disabilities who are terminally ill are permitted to end their lives if they decide. And there is a growing number of Bioethicists here in the US who believe in the theory that there is such a thing as non-persons and therefore we can justify killing them, even if they never asked to be killed. We know the number of victims who commit assisted suicide each year, however there is no way to account for the number of deaths that occur by dehydration and starvation. Nevertheless, there is no question that it far outnumbers those who seek the help of physicians - or others - to end their lives. If you go by the amount of calls we have received at the Life & Hope Network over the past ten years, it is painfully obvious that this is happening more than anyone could imagine. Aside from abortion, I believe that legalizing the removal of feeding tubes has been one of the most significant "victories" for the culture of death. Certainly, there are other laws attacking the dignity of the human person not mentioned here. Hard to measure is the attitude shift that has taken place in our nation towards the medically defenseless which is just as dangerous as any law that has been passed or policy that has been changed. Clearly, much of the general public is buying into the culture of death and the propaganda they are selling, giving us a real sense of the insidious nature of this death movement, with no signs of it slowing down. One might wonder how or why there has been so much success by this right to die movement. Unquestionably, there are strong prejudices towards our weak that are at play and responsible for such depraved behavior. We also hear all of the absurd and misleading arguments to justify decisions regarding killing our vulnerable. Whatever the argument is or the rationale that is made, make no mistake, much of what is driving the agenda is money. Nothing else. Simply put, to the culture of death, money has more value than the dignity of the human person. Indeed, if you took a quick accounting of abortion, assisted suicide, dehydration of our medically vulnerable, and the organ donation program - where a person's organs can exceed a half a million dollars - the common denominator in each is money, and a lot of it can be at stake. It is having a devastating and lasting effect. The future doesn't look much better. Particularly, in this time of a government controlled health care industry and its focus to contain costs, legalizing physician assisted suicide, aborting the preborn disabled, and euthanizing the elderly, the disabled, and other medically vulnerable, will all be ways of containing costs for them. When no one wants to take into consideration the consequences of their actions, or no longer believes in a just and merciful God, then how can we expect the dignity of the unborn, the elderly, the disabled or any of our medically helpless to be embraced? We are failing terribly as a nation to look out for the weakest among us. In fact, right now, there are those fixated with death who are working to find better and more convincing ways to justify killing our vulnerable. What's worse is all of the people who will agree with them. Bobby Schindler is the Executive Director of the Terri Schiavo Life & Hope Network which works to protect the lives of the medically vulnerable and disabled from the threat of euthanasia. The Terri Schiavo Life & Hope Network was the 2009-2010 recipient of the Gerard Health Life Prizes Award. The only son of Bob and Mary Schindler, Bobby was born and raised just outside of Philadelphia, Pennsylvania with his sisters, Terri and Suzanne. After his graduation from LaSalle University with a Bachelor of Science degree in marketing, Bobby went on to obtain a degree in meteorology from Florida State University. Bobby's life took a dramatic and unexpected turn in February of 1990 when his older sister, Terri, suddenly collapsed and was left with a profound brain injury. When Terri's estranged husband sought court permission to starve and dehydrate her to death, Bobby was suddenly propelled into a life he'd never imagined. He spoke in defense of his sister's life on numerous national television and radio programs including Hannity & Colmes, Larry King Live, the Oprah Winfrey Show, The Glenn Beck Show, Good Morning America, The Early Show, The Today Show, Dateline NBC, the 700 Club, EWTN and many others. Following Terri's tragic death on March 31, 2005, Bobby gave up his teaching job at Tampa Catholic High School and became a full-time pro-life and disability rights advocate. Today, Bobby through Terri's Life & Hope Network assists families in need of legal action to prevent their loved ones from health care rationing and food and water removal. Terri's Life & Hope Network has provided resources and support to over 1000 families and has been involved in hundreds of cases helping to protect persons who were in or potentially facing life-threatening situations. 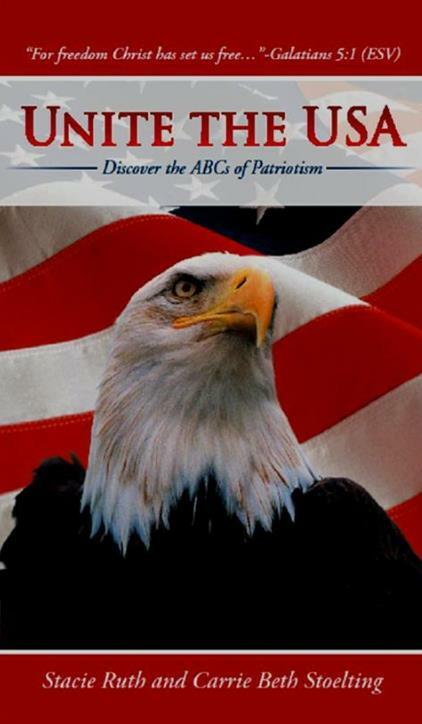 He has spoken extensively throughout the U.S. and internationally, giving a firsthand account about Terri's story which was largely misrepresented by the mainstream media. Bobby talks about the effects this case has had across America and about the tens of thousands of individuals living like Terri today. Bobby has also been asked to testify before state legislatures in Florida, Louisiana, California and Kentucky, and has addressed Members of Parliament in Canada and Australia concerning the protection of the medically vulnerable. He and his family have also authored the book A Life That Matters (2006), regarding their decade long struggle to care for his sister Terri. Bobby also co-hosted on America's Lifeline, a weekly radio program that covered such topics as euthanasia, futile care and assisted suicide. The Schindler family continues to advocate for persons with disabilities and works tirelessly to put an end to the growing pro-death mentality that is plaguing our nation. Our country needs to turn to Jesus. 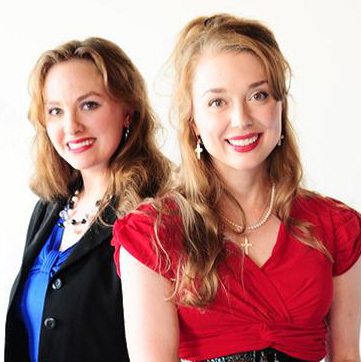 Listen to "In God We Still Trust" for inspiration to keep "fighting the good fight". 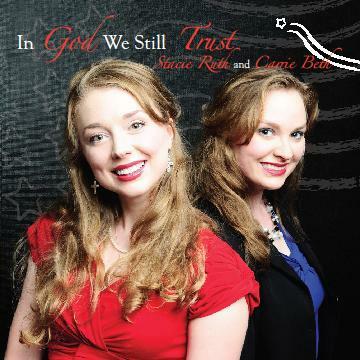 For hope and encouragement, click here to listen to Stacie Ruth and Carrie Beth sing "In God We Still Trust".